The Party Committee and the Directorate of the Factory Z119 under the Air Defence and Air Force Service clearly perceived that the campaign “Promoting traditions, devoting talents, deserving to be Uncle Ho’s soldiers” (hereafter called the Campaign for short) launched by the Standing Committee of the Central Military Commission was the concretization of the 11th Politburo’s Directive No.3 – CT/TW and the 12th Politburo’s Directive No.5 – CT/TW in army background. Simultaneously, they also defined its implementation as a task of focus and routine, and an important element in the Factory’s “determined to win” emulation movement as well. By aforementioned perception, the Factory’s Party Committee and Directorate have provided close, effective direction and leadership over the implementation of the Campaign. That helps the cadres, party members and workers of the Factory always possess strong and consistent political will, pure ethics and proper lifestyles, and proactiveness in their work. The effective leadership also brings about great solidarity and unity within the Factory; as a result, relationships among members of the staff were harmoniously managed, and their attachment to the occupation as well as the Factory was strengthened. A lot of effective and interesting working models and methods, typical and advanced individuals and groups appeared and were rewarded during the implementation of the Campaign, bringing about significant diffuse educational effects. The Factory is always the vanguard of the Service as well as the Army in doing scientific researches, mastering military materials and equipment, technically maintaining the radar systems in order to ensure high combat readiness and sound management of the airspace and territorial waters of the Fatherland. Those achievements have made contribution to making the Factory’s Party Committee strong and pure for many consecutive years, building its strong mass organizations, earning the title of comprehensively strong Factory, and excellently accomplishing its assigned missions. The Factory was awarded the Flag of Excellent Unit by the Service for its achievements during the implementation of the Campaign; the third-class Order of Fatherland Protection in 2013; and was conferred the title of Hero of the People’s Armed Forces in the period of resistance war against the United States, for national salvation by the State on December 16th, 2014. The above results could be obtained first and foremost thanks to the fact that the Party committees and commands at all levels always heightened their responsibilities in putting leadership and direction into the implementation of the Campaign so that it was conducted with various measures suitable to functions and tasks of each department, section and workshop. Especially, the focus of the leadership was also placed on the activities of researching, counselling and proposing the implementation of projects of improving quality of old-generation radar systems and employing technology to repair the modern ones. Annually, the political organ actively offers the counsel to the Party Committee and the Directorate on making plans and programs of implementation of directives and resolutions by higher authorities; directing the realization of leading measures which are based on the tasks of each department, section and workshop; maintaining the inspection and evaluation of the implementation of the Campaign; and organizing conferences on summary, experience withdrawal, etc. The implementation of the Campaign among the organs within the Factory is always attached to the Directive No.5 – CT/TW by the Politburo (XII tenure), the Resolution of Party Central Committee’s 4th Plenum (XII tenure) on Party building and rectification and the “determined to win” emulation movement as required by the Factory’s Party Committee. At the same time, the results achieved during the implementation of the Campaign are considered as a criterion for annual quality evaluation of cadres, party members and the masses as well as vote/election for awards of groups and individuals. Therefore, contents of the Campaign strongly spread, creating favorable environment for the staff of the Factory to bring into play the best of their abilities in work, keep their mind on their work, have strong attachment to the Factory building, surmount difficulties in order to well accomplish all of their assigned missions. In order to change the Campaign into wide and deep revolutionary action movement, the Party Committee and the Directorate of the Factory always place great importance on the work of education and propagation. The contents of those work focuse on raising the awareness of the aims, requirements and the contents of the Campaign as well as the directives, resolutions and guidelines by higher authorities; on the significance and the role of the Campaign towards traditional education, raising responsibility, and promoting potential and strength of each organization and individual in their task performance. The educational forms and methods are various and combined with regular activities, emulation mobilization, meetings, and through internal information media, slogans and photo boards. The propagation was regularly implemented; thus, it was deeply perceived by each group and individual, and became indispensable spiritual nourishment among all activities of the Factory. In addition, the Factory’s leaders were always interested in the work of building and replicating advanced typical models. 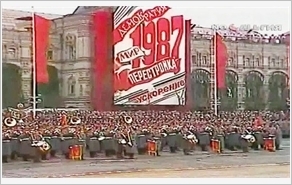 The Party Committee and the Directorate always gave great performance on the task of reviewing and evaluating quality of the advanced typical models; therefore, they were able to opportunely adjust and supplement the solutions in order to cultivate and replicate the new typical models, the initiatives of groups and individuals, creating the motivation as well as diffuse power which encouraged the cadres and workers to try their best in dealing with difficulties and perfectly accomplishing their assigned tasks and duties. Simultaneously, they also organized political and ideological forums on studying and following Ho Chi Minh’s ideology, ethics and lifestyle, as well as spreaded “examples of good people, good deeds” movement. As a result, not only the cadres and party members’ political will, moral standards and lifestyles were built up, but the good methods and advanced typical models were made popular as well. The results of building typical units and models have contributed to raising the awareness, the roles, the responsibilities of the organizations and components within the Factory as well as bringing a sense of proactiveness and creativity in performing the tasks of each group and individual into play. In addition, the Factory also promoted organizing the competitions of skillful workers in order to create lively emulation atmosphere and boost the Campaign’s development both in width and in depth, contributing to improving its staff’s researching levels and skills, and creativity so that they could be the master of advanced technology. The movement of promoting initiatives, devoting talents was positively responded by the Factory’s staff through their practical actions which focused on the research, innovation, design, manufacture of materials for and technical maintenance of the radar system. This was the most practically significant work in the implementation of the Campaign, contributing to improving capabilities of manufacturing, repairing and restoring materials and military hardware; resulting in saving the expenses for defence budget. In order to encourage its staff to be active in researching, promoting technical initiatives and innovations, applying modern technologies to repair and production, the Factory has built and put into use the “High Tech House” equipped with new technological lines and modern equipment serving its manufacture as well as training of its and the Service’s technical cadres, engineers and workers. As a result, this staff has quickly accessed the transfer of foreign modern technology and mastered the new technologies within the project “Technological investment to repair new-generation radar system – Phase I” of the Ministry of National Defence. The movements, such as “The Youth of the Factory strive for the heights”, “To enter the areas of science and technology”, “Be united, active, creative to make the Service revolutionary, regular, elite and modern”, “Good labourer, creative labourer”, have encouraged the study and research to improve knowledge of science and technology; and wakened up the staff’s enthusiasm, creativity, and desire for devotion. As a result, the Factory has successfully collected the staff of skillful engineers and workers, and top experts to master the currently-owned repairing lines and access the technology for repairing and innovating the new-generation radar system. With the enthusiasm, creativity and the spirit of “to enter the areas of science and technology”, the staff’s initiatives and researches, which were applied right in the Factory, all brought about certain breakthroughs as well as contained magnificient intellectual content. Since the implementation of the Campaign, there have been 138 initiatives on technical innovation within the Factory; in which, 5 initiatives were sent to the Army-level contest of “Youth’s Creativity” (1 was awarded runner-up prize and 1 was awarded prize of Encouragement), 5 others were awarded prizes at the Service-level contest. In 2015, the Factory was awarded the Cerfiticate of Merit by the General Confederation of Labor of Vietnam and the Service for its participation in the Contest of “Creative Products and Themes” lauched by the Trade Union in the period of 2004-2015. For the past three years, the Factory has been compiling and translating more than 83,700 pages of documents on technological process, technological notes, repairing records, technical presentations (mainly focused on new-generation radar system) serving the instructions of the radar system repairing and using within the Service. Meanwhile, the Factory has also repaired 76 sets of radar, 154 electric power supplying stations, 548 measuring devices; received, then repaired and tested 2 sets of radar under the project “Investment in repairing to increase the duration of use for surveillance radar stations”; dismantled, repaired, adjusted and installed radar stations under the project “Shadow Globe” in islands. The Factory not only repaired and maintained the radar hardware of the Service but also repaired kinds of radar hardware of the Navy, the Border Guard, saving billions VND for the defence budget. That also contributed to ensuring combat-ready missions, firmly managing the airspace, the waters as well as the borders of the Fatherland. To bring into play the tradition of solidarity between the army and people, the officers and soldiers of the Factory always strictly obey the disciplines in public relations in order to consolidate the relationship between them and local Party committees, authorities and people. Simultaneously, they also actively propagandize and persuade people, their families and relatives to well implement the Party’s guidelines as well as the State’s policies and laws. In the implementation of the movement “The Army joins hand in building new rural area”, with its own resources, the Factory has spent more than 320 millions VND supporting Dong Yen Commune’s Primary School, Xuan Mai B Secondary School, Xuan Mai’s Pre-School and building houses for Vietnamese Heroic Mothers in Dong Yen Commune. 251 millions VND has been spent for visiting and presenting gifts to local beneficiaries of social welfare, families in difficult circumstances, victims of Agent Orange/dioxin on the occasions of national holidays and Lunar New Year, making the image “Uncle Ho’s soldiers – the elite Air Defence – Air Force soldiers” continue to shine in the hearts of the people. From the practical implementation of the Campaign, the Factory draws on a number of lessons as follows: Firstly, the Party committees and the commanders at all levels must really be involved so that they could heighten their own responsibilities in leading, directing and promoting the counseling and guiding role of the political agency. During its implementation, the Campaign should be closely linked with the Politburo's Directive No. 05 (XII tenure), the Resolution of the 4th Plenum of the Party Central Committee, the campaigns and the “Determined to Win” emulation movement. Secondly, successfully mobilizing the participation of organizations and forces; promoting the exemplary role of the cadres and party members, in which cadres in charge at all levels must be typical examples in terms of moral standards, working styles. Their words must match their actions, and they must be the key members of the movements. Thirdly, the advanced typical models should be regularly nurtured and multiplied; the rules and orders of inspection, preliminary review, summation should be strictly followed, and great importance should be attached to the work of emulation and reward. Grounded in the above-mentioned results and lessons, in the upcoming time, the Party Committee and the Directorate of the Factory will continue to accelerate the implementation of the Campaign to a new height, creating momentum to make the Factory Z119 a leading military radar maintenance and repair center, contributing to building revolutionary, regular, elite, modern Air Defence – Air Force Service.